Native Reader seeks to uphold, through literature, the dignity of all native people: past, present, and future. **Click on "OLDER POSTS" at the bottom of the screen to see titles on the next page! This is a work in progress and is not meant to be a review of all MN Native texts, but ones which may fit and support people wanting to learn about our state's original people. *Native reader blog does not direct, feed to/from other sites. ** My new Native American Young Adult, APPLE IN THE MIDDLE, is coming out Aug 2, 2018 from North Dakota State University Press in its Contemporary Voices of Indigenous People series!!! You can follow my book news on the "Dawn's Book Page" tab above. 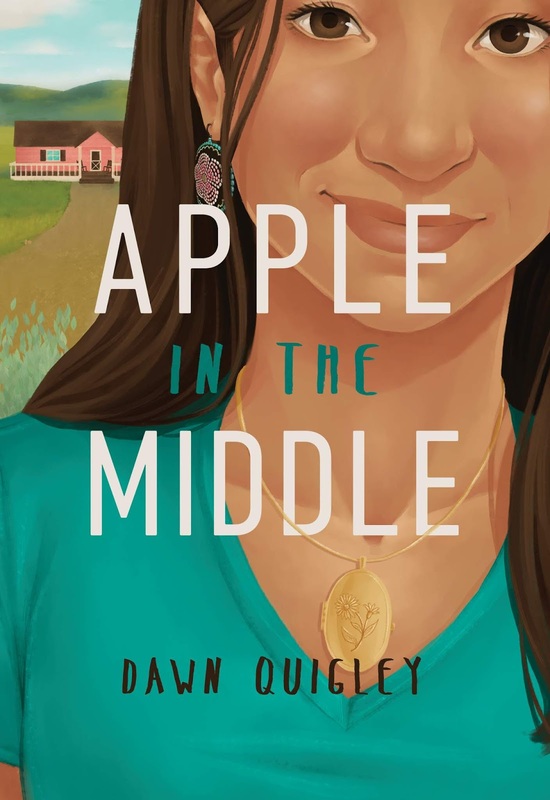 APPLE IN THE MIDDLE is a coming-of-age novel and an unexpected look at what happens when two cultures collide and our only tour guide is a quirky and offbeat outcast. 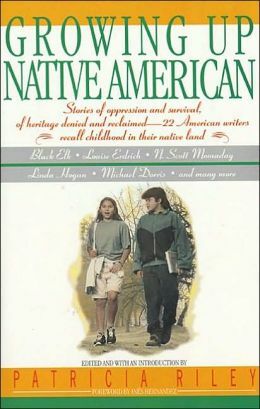 Apple is unique as it is the only humorous Native American coming-of-age story with a female main character to date. It's a little bit mystery, a bit of trip down adolescent lane, a bit self-discovery, and a whole lot of tears-from both laughter and sorrow. People of all ages remember their own coming-of-age (the painful awkward years) and will connect with Apple. Apple Starkington turned her back on her Native American heritage the moment she was called a racial slur. Not that she really even knew HOW to be an Indian in the first place. Too bad the white world doesn't accept her either. So began her quirky habits to gain acceptance. Apple's name, chosen by her Indian mother on her deathbed, has a double meaning: treasured apple of my eye, but also the negative connotation: a person who is red, or Indian, on the outside, but white on the inside. After her wealthy [white] father gives her the boot one summer, Apple reluctantly agrees to visit her Native American relatives on the Turtle Mountain Indian Reservation in northern North Dakota for the first time, which should be easy," but it's not. 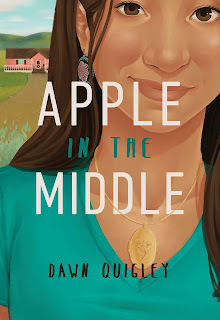 "Apple shatters Indian stereotypes and learns what it means to find her place in a world divided by color.” This Young Adult novel—perfect for adults, too—is a work of complexity and compelling drama, mixed with humor. Dawn Quigley notes: "Bouncing in the middle of multiple worlds myself (and being an enrolled member of the Turtle Mountain Band of Ojibwe, ND), I bring a true voice to a story that Native and non-Natives will connect to equally. Also, my APPLE IN THE MIDDLE echoes Midwest regional life directly in that coming-of-age novels are usually centered around boys/men. My book, written by a Native woman, refuses to quiet Indigenous stories, which are all too much marginalized and passed over by the literary world. My protagonist, Apple, realizes and awakens her strong center as she overcomes those who would define her, and what it means to be a Native teen, thereby challenging the way we read literature." **It will be available SOON at your favorite Indie bookstore, Amazon, Barnes & Noble, and our online store. It's not listed there yet, but Apple will be able to be purchased even at our NDSU "Shop Now" site. "Jimmy McClean is a Lakota boy—though you wouldn’t guess it by his name: his father is part white and part Lakota, and his mother is Lakota. When he embarks on a journey with his grandfather...he learns more and more about his Lakota heritage—in particular, the story of Crazy Horse, one of the most important figures in Lakota and American history. 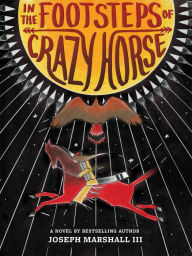 Drawing references and inspiration from the oral stories of the Lakota tradition,...and the contemporary story of Jimmy with an insider’s perspective on the life of Tasunke Witko, better known as Crazy Horse (c. 1840–1877). The book follows the heroic deeds of the Lakota leader who took up arms against the US federal government to fight against encroachments on the territories and way of life of the Lakota people, including leading a war party to victory at the Battle of the Little Bighorn. Along with Sitting Bull, Crazy Horse was the last of the Lakota to surrender his people to the US army. Through his grandfather’s tales about the famous warrior, Jimmy learns more about his Lakota heritage and, ultimately, himself." **one of the BEST novels for young adults I've read in a while. The themes cover: bullying, honor, humility, bravery and more. This book also has a glossary in the back for vocabulary. A great suspenseful book for boys along with any history lover (or one who wants to know more about Crazy Horse). "A wide-ranging and emotionally potent collection of poems, photography, interviews, and artwork featuring dozens of [contemporary] indigenous artists and writers from across North America. 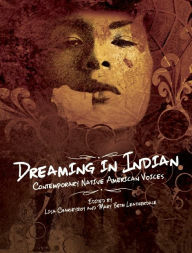 The graphics-intensive format gives the project the feel of a magazine or yearbook as the contributors tackle stereotypes (three girls offer perspectives growing up with Disney’s Pocahontas); discuss their careers in the arts, activism, and other areas; and reflect on their place in the culture at large, despite ongoing discrimination and other challenges." **for more mature, older students as some pieces contain more mature content. ""I remember the day I lost my spirit." 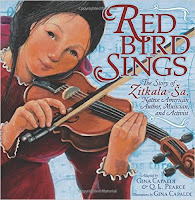 So begins the story of Gertrude Simmons, also known as Zitkala-Sa, which means Red Bird. Born in 1876 on the Yankton Sioux reservation in South Dakota, Zitkala-Sa willingly left her home at age eight to go to a boarding school in Indiana. But she soon found herself caught between two worlds--white and Native American. Zitkala-Sa found she could also "sing" to help her people by writing stories and giving speeches. As an adult, she worked as an activist for Native American rights, seeking to build a bridge between cultures. The coauthors have told about Zitkala-Sa's life by weaving together pieces from her own stories. The artist's acrylic illustrations and collages of photos and primary source documents round out the vivid portrait of Zitkala-Sa, a frightened child whose spirit "would rise again, stronger and wiser for the wounds it had suffered."" 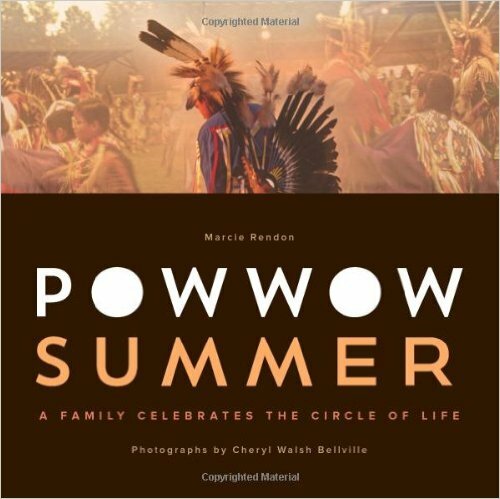 "Sharyl and Windy Downwind and their children travel from their home on the Red Lake Reservation in Minnesota to powwows all around the region. For the past year, their oldest daughter, Shian, has been honored as junior princess for Bug-o-nay-ge-shig School. At the Leech Lake Memorial Day gathering, Shian will hand over her crown to the next princess. Later that summer, the family attends the Red Lake Fourth of July powwow seeking healing and comfort. Windy is mourning his mother, who recently passed away, and also honoring her by dancing at the powwow. At ceremonies and in daily life, Windy and Sharyl celebrate Anishinaabe culture by teaching their children traditional skills, dance steps, and lifeways, all part of the circle of community and the seasons and life." 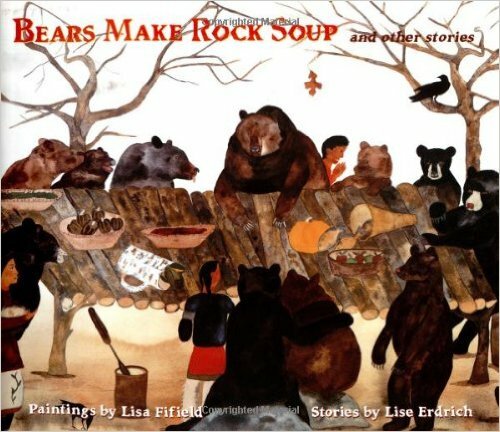 "In Bears Make Rock Soup, writer Lise Erdrich and painter Lisa Fifield honor their Native American ancestral traditions. 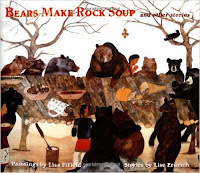 As winter falls, women fill the bellies of hungry bears with sweet stories so they will sleep till spring. Crows warn of enemies in pursuit so that a tribe may escape to safety. Children care for an abandoned moose they find crying for its mother. And animals of all stripes and feathers gather to pay respects to a beloved chief who has fallen while defending his people." In the first ninety-five years of her life, Dorothy Dora Whipple has seen a lot of history, and in this book that history sees new life. 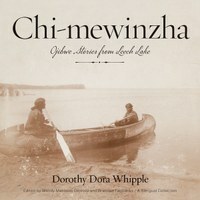 A bilingual record of Dorothy’s stories, ranging from personal history to cultural teachings, Chi-mewinzha presents this venerable elder’s words in the original Ojibwe and in English translation to create an invaluable resource for learning this cherished language"
"An Introduction to Ojibwe Star Knowledge. 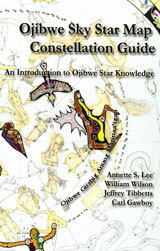 A constellation guidebook focusing on Ojibwe Star Knowledge. Greek constellations and astronomical objects of interest are included along with the Ojibwe constellations organized by the four seasons and north circumpolar stars. Written by four native authors." "Stories of oppression and survival, of heritage denied and reclaimed — twenty-two American writers recall childhood in their native land. These pieces (most previously published) about coming of age as an Indian in North America by such well-known writers as Leslie Silko, N. Scott Momaday, Louise Erdrich and Ignatia Broker. The material is diverse, ranging from a 19th-century account of a boy's first buffalo hunt to modern-day memoirs of childhoods scarred by poverty, racism and abuse. The collection contains fiction and nonfiction from the U.S. and Canada, reflecting the invisibility of these national borders to indigenous Americans." -excerpt from Black Elk Speaks (Oglala Lakota/Sioux) and more! See Dawn's "book page" tab above for more info!! Wow-I just signed my first book deal for my Native teen coming-of-age novel APPLE IN THE MIDDLE with North Dakota State University Press (Comtemporary Voices of Indigenous People series)!! So excited (April 2017). It will come out in 2018- stay tuned!! 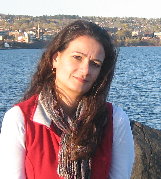 I am an assistant professor in the Education Department at St. Catherine University, St. Paul, MN (and an enrolled member of the Turtle Mountain Band of Ojibwe). You can reach me at: quig0099 @ umn.edu (take out spaces). Miigwetch! Thank you! Great Lakes Indian Fish & Wildlife Commission. A great resource and amazing curriculum for treaty rights, language educational resources and more! Many free downloadable items. A must for teachers (click on "Educational Materials"! Indian Land Tenure Foundation. Find good classroom curriculum: Click on "Resources", then "Land Tenure Curriculum", and finally "Lessons of Our Land". Many grade levels to choose from. The Berenstein Bears video/lessons- speaking in Lakota!